A few decades ago, identifying as genderqueer would probably have been met with confusion. 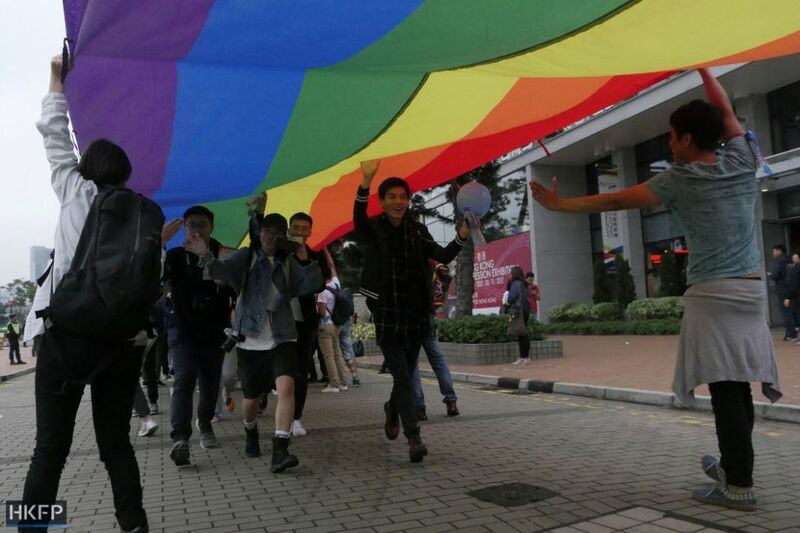 Now, as LGBT+ rights groups push for gender recognition laws in Hong Kong, there is hope of shifting public attitudes. 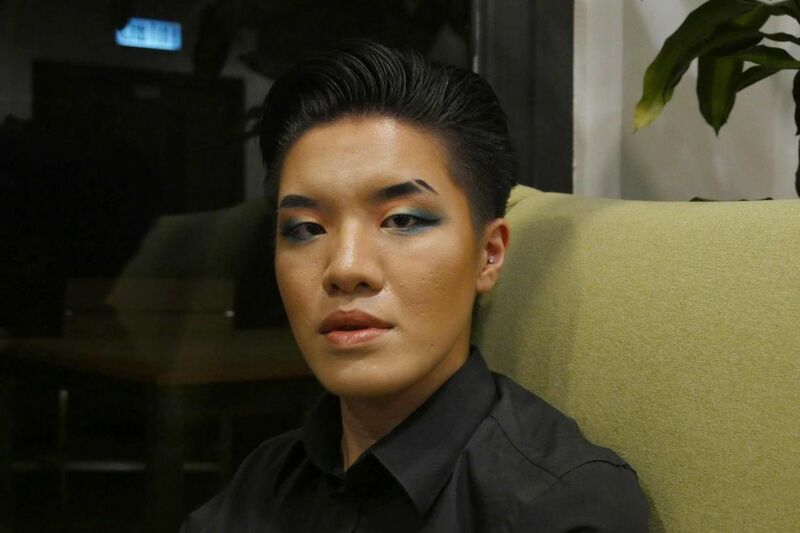 Vincy Chan, a transgender artist, is non-binary and uses the pronouns “they” or “them.” This means that their gender identity is not exclusively masculine or feminine, but lies outside of the gender binary. Wan Hei Vincy Chan. Photo: Jennifer Creery/HKFP. “A lot of people, when they think about gender, they think about male or female. Being trans simply means, usually by definition, that you don’t identify with the gender you were assigned with at birth,” Chan told HKFP. After returning to Hong Kong from studying at a liberal arts college in Minnesota, United States, Chan initially had difficulty finding a community who they could relate to: “I went to a pretty traditional all-girls Christian school. A lot of my friends that I made from school were cis women of certain social strata,” they said. “A lot of the times I will just mis-gender myself as female to get what I want,” Chan said. They also recalled one instance where they went to a love hotel to do a photo shoot with a friend when the receptionist stopped them: “Two men? You can’t come here,” she said. Chan whipped out a “Female” Hong Kong identity card and was let through. But, they said, the gesture was a lie. Part of the reason for the slow progress with LGBT+ rights is public misconceptions. “The conversation is moving along a bit, but the process is pretty slow. When people talk about trans identity, it is immediately associated with transitioning and surgery, and gender recognition,” Chan said. 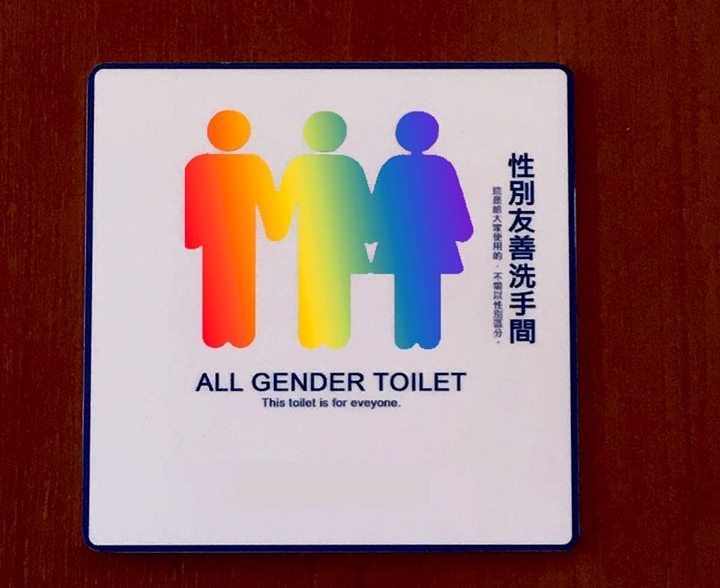 The University of Hong Kong’s all gender toilets Photo: CEDARS-CoPE Facebook page. Hong Kong currently has no gender recognition laws. In order to change the gender marker on a legal document, such as a passport, a person must undergo sexual reassignment surgery – a life-altering medical procedure that renders the individual sterile by removing their reproductive organs. “For someone who is not necessarily interested in that medical process of transitioning or that narrative of being trans, I am at the fringe of that conversation,” Chan added. 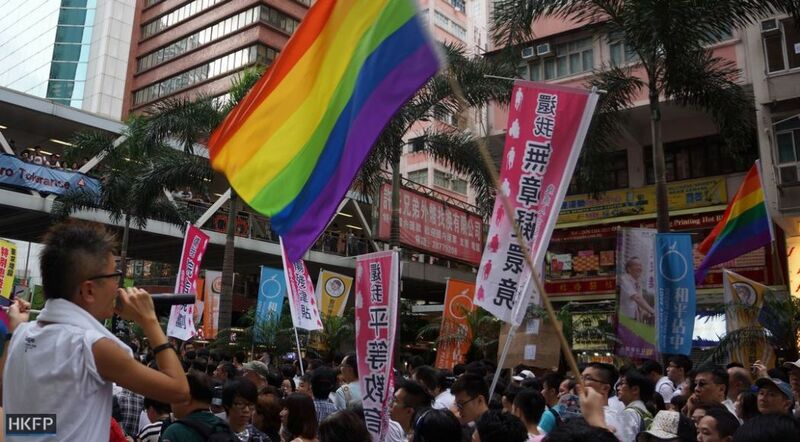 Chan says that the development of LGBT+ rights in Hong Kong is intimately bound up with decolonisation. The city was a British colony until its transfer of sovereignty to China in 1997. 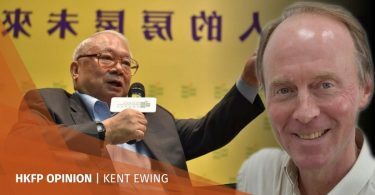 But Chan says that colonial attitudes prevail: “I don’t want to frame the conversation [on LGBT+ rights] as ‘us catching up with the ‘west,’ or the discourse of the west.’,” they said. 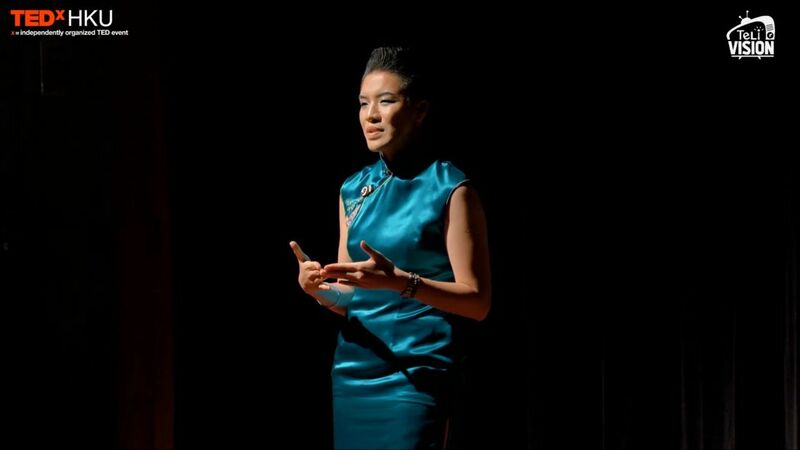 Vincy Chan at TedXHKU. Photo: Vincy Chan. Chan added that although queer theory predominantly arose out of western academia, the Asia-Pacific region had its own progressive interpretation of gender that was wiped out through the process of colonisation. “It’s not that we’re catching up with the west, but it’s a process of decolonisation itself, to be able to have those conversations again,” they said. These allies, according to Chan, are those who take strides to push the public discourse on LGBT+ rights in a progressive direction, from advocating comprehensive gender identity legislation to educating the public on non-binary gender identities. Chan recalls an instance when a friend, who shares the same Facebook profile picture as them, would take the opportunity to educate people about genderqueerness when asked whether Chan was her partner. 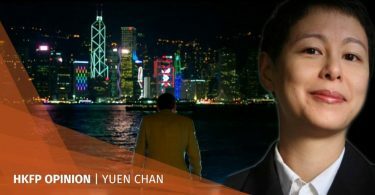 For Chan, these moments play a vital role in pushing forward a progressive LGBT+ narrative in Hong Kong. But it also serves as a reminder of how far the conversation has to go. This article was amended to include a clarification on comments made about interpretations of gender in Hong Kong and the greater Asia-Pacific region.